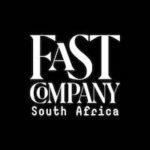 FAST COMPANY, the most progressive media brand in the United states and the recent winner of the magazine industry’s most coveted prize – Magazine of the Year – at the National Magazine Awards this May, Launched a South African edition in October 2014. FAST COMPANY was launched in November 1995 by two former Harvard Business Review editors, and has gone from a launch distribution of 100 000 copies to a total circulation now of over 800 000 and a readership of more than 3 million per month in the US, making it the fastest growing business magazine ever. Robbie Stammers, publishing editor of Insights Publishing in Cape Town, is the one bringing the brand to South Africa. Stammers, who was editor-in-chief of Leadership Magazine for seven years – and the winner of Business Editor of the Year on two occasions and won the 2014 Custom editor of the year at the PICA Awards, along with numerous other awards under his belt – will be the Publishing Editor and Evans Manyonga will be Editor.